Franklin Township was the home of Delaware Indians for some 5,000 years before Quaker settlers from Burlington arrived soon after 1700. The most reliable records available about the early days of the Township are found in the minutes of the Friends’ Meeting in Quakertown, which was organized in 1733 and remains the last active Quaker establishment in Hunterdon County. 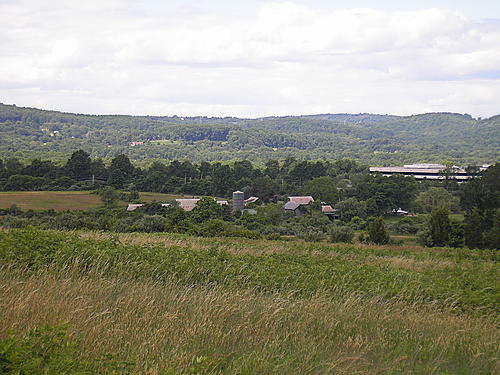 It embraces 23.3 square miles in the heart of Hunterdon, and has 3195 residents. Villages and hamlets in Franklin are Cherryville (Dogtown until 1856), Quakertown (sometimes called Fairview between 1834 and 1856) and Pittstown (Hoffs until the late 1700s), which also is partly in Alexandria and Union Townships. In earlier years, Landsdown, Sidney, Kingtown (King’s Mills) and Oak Grove also were busy settlements. 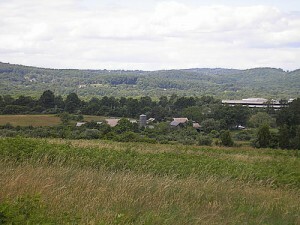 The township has some of the most productive soils in the state and a bounty of streams. The northern Uplands, in the Raritan River watershed, give rise to the Capoolong Creek. The southern Plateau, in the Delaware River watershed, has the Croton Swamp and headwaters of both the Lockatong and Wickecheoke Creeks. From its beginning, Franklin was a center of agriculture and still maintains much of its rural character, boasting a wealth of scenic vistas. Franklin Township Real Estate Homes For Sale. Franklin Township Closed Real Estate Transactions.